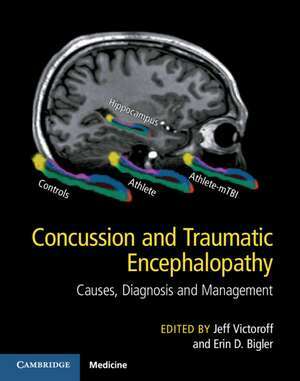 Concussion and Traumatic Encephalopathy is a ground-breaking text that offers neurologists, neuropsychologists, psychologists, and physiatrists the first comprehensive reconceptualization of concussive brain injury in 100 years. During the 20th century, progress in understanding concussion was hamstrung by resistance to the observation that many survivors suffer long-term sequelae, and by the lack of advanced neuroimaging technologies. As a result, the potentially immense impact of concussion on global health was largely overlooked. The last decade has witnessed a dramatic renaissance in concussion science. We are just beginning to fathom the implications for society. Informed by 21st century advances, this new text updates the definition, epidemiology, pathophysiology, late effects, and promising therapies for concussion. Multiple experts have collaborated to summarize the latest scientific evidence in an engaging way and provide the reader with the first paradigm shifting textbook of this new era. Section 1. What Is a Concussion? : 1. What is a Concussive Brain Injury? Jeff Victoroff and Erin D. Bigler; 2. Epidemiology of Concussive Brain Injury Jeff Victoroff; 3. The Pathophysiology of Concussive Brain Injury Stefano Signoretti, Barbara Tavazzi, Giuseppe Lazzarino and Roberto Vagnozzi; 4. What Happens to Concussed Animals? Jeff Victoroff; 5. What Happens to Concussed Humans? Jeff Victoroff; 6. Neuroimaging Biomarkers for the Neuropsychological Investigation of Concussive Brain Injury (CBI) Outcome Jeff Victoroff and Erin D. Bigler; Section 2. Outcomes after Concussion: 7. Why Outcomes Vary Jeff Victoroff; 8. Emotional Disturbances Following Traumatic Brain Injury Ricardo E. Jorge and Helen Lee Lin; 9. Concussion and the 21st Century Renaissance of Neuropsychology Jeff Victoroff and Erin D. Bigler; 10. Persistent Post-Concussive Psychiatric Problems Jeff Victoroff; 11. Late Effects Jeff Victoroff; 12. Functional Neuroimaging Markers of Persistent Post-Concussive Brain Change Brian Johnson, Erin D. Bigler and Semyon Slobounov; 13. Polypathology and Dementia After Brain Trauma. Does Brain Injury Trigger Distinct Neurodegenerative Diseases, or Should They Be Classified Together as Traumatic Encephalopathy? Patricia M. Washington, Sonia Villapol and Mark P. Burns; 14. Traumatic Encephalopathy. Review and Provisional Research Diagnostic Criteria Jeff Victoroff; Section 3. Diagnosis and Management of Concussion: 15. The Great CT Debate Jeff Victoroff; 16. Structural Neuroimaging of Persistent or Progressive Traumatic Encephalopathy Katherine H. Taber and Robin A. Hurley; 17. Biomarkers for Concussion. The Need and the Prospects for the Near Future Henrik Zetterberg and Kaj Blennow; 18. Pediatric Concussion. Understanding, Assessment, and Management, with Special Attention to Sports-Related Brain Injury Adam Darby, Jeff Victoroff and Christopher C. Giza; 19. Contribution of Objective Tests to the Diagnosis of Sport-Related Concussion Elizabeth Teel and Kevin Guskiewicz; 20. Deployment Stress and Mild Traumatic Brain Injury. Diagnostic Challenges in Polytrauma Care Colleen E. Jackson, Rebecca L. Wilken and Jennifer J. Vasterling; 21. How Should One Measure 'Outcome' of Concussion? An Introduction to the Common Data Elements for Mild TBI and Concussion Elisabeth A. Wilde and Ashley L. Ware; 22. Functional Neuroimaging of Concussion Andrew R. Mayer and Patrick S.F. Bellgowan; 23. Civilian Post-Concussive Headache Nathan D. Zasler, Michael F. Martelli and Barry D. Jordan; 24. Fatigue after Concussion. Epidemiology, Causal Factors, Assessment, and Management Benton Giap and Jeffrey Englander; 25. Sleep Disorders After Concussive Brain Injury. Classification, Diagnosis, and Management Curtis McKnight and Jeff Victoroff; 26. Neuroendocrine Dysfunction Following Concussion. A Missed Opportunity for Enhancing Recovery? Nigel Glynn and Amar Agha; 27. Evidence Based Rehabilitation in Mild Traumatic Brain Injury. Results of a Systematic Review Jon Pertab; 28. A Modest Plea Jeff Victoroff and Erin D. Bigler.